The Boston and Maine Railroad station at Haymarket Square in Boston, around 1894. 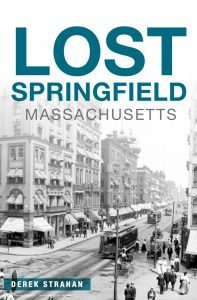 Image courtesy of the City of Boston Archives. The Boston City Hospital Relief Station, on the site of the former railroad station in 1905. Image courtesy of the City of Boston Archives. 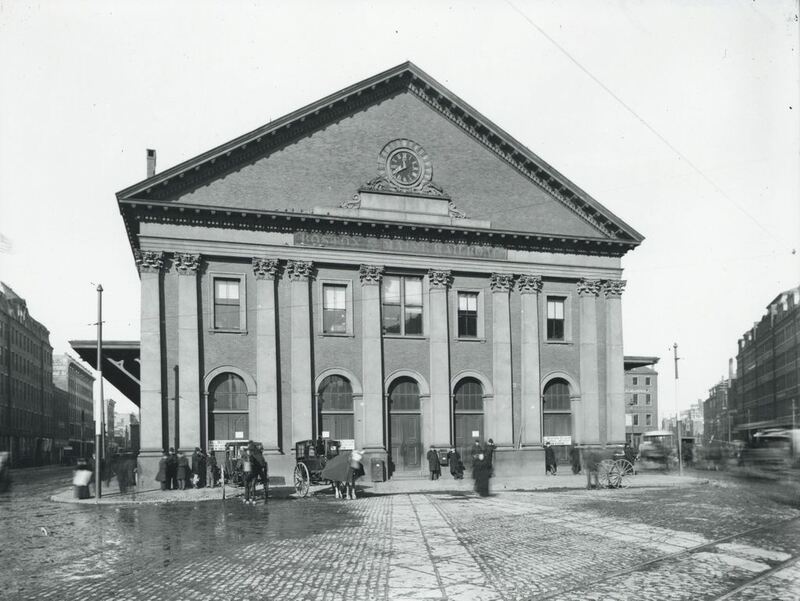 Of the eight major railroads that served Boston in the late 1800s, the Boston and Maine came the closest to the downtown area, with its depot at Haymarket Square. 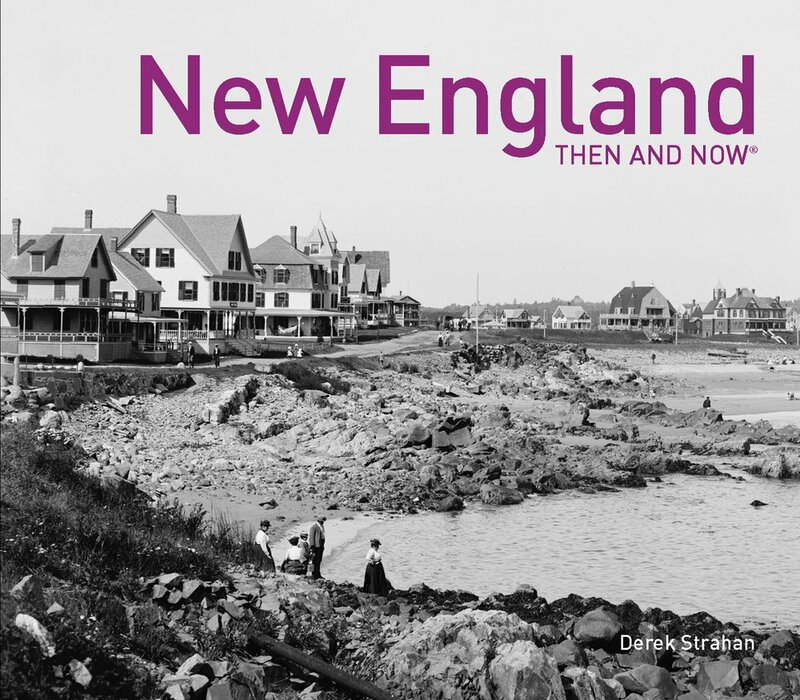 It was opened in 1845, and over the years Boston and Maine became the dominant railroad in northern New England, with many of its lines converging here. However, because there were four different railroads that had their own stations within a few blocks of here, the companies built North Station in 1893, about 300 yards up Canal Street from here. The old station had been built in the early years of railroad travel, and it stood until 1897, when it was demolished to make way for a new type of rail travel. Boston’s Tremont Street Subway was the first subway tunnel in the country, and the northern entrance of the tunnel was built on the site of the station. From here, the tracks ran along the surface between Canal and Haverhill Streets, where the station platforms used to be. The only new building on the site was the Boston City Hospital Relief Station, as seen in the 1905 photo. 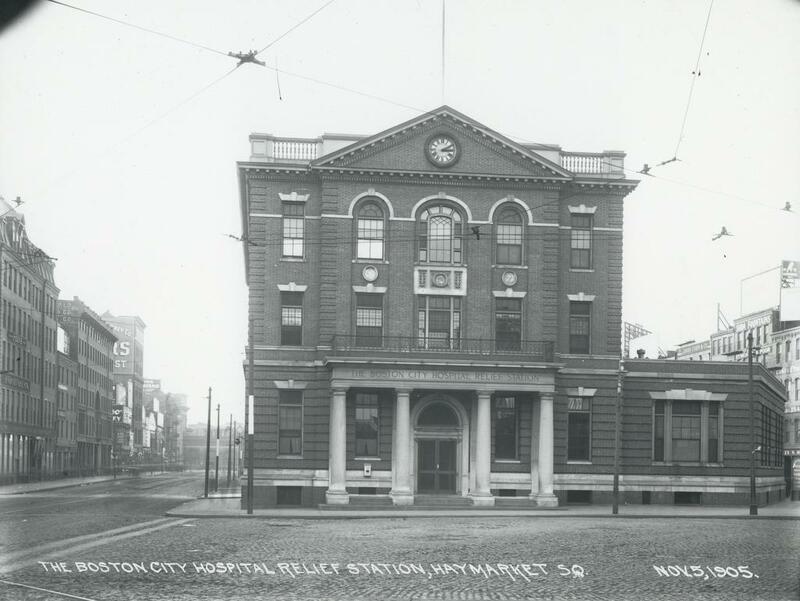 It was built in 1902 as a branch of the Boston City Hospital, in order to provide emergency services in the downtown area, and it stood until the early 1960s. Today, there isn’t much left from either of the first two photos. A few of the buildings on Canal Street are still standing, such as the one on the far left in both the 1891 and 1905 photos. 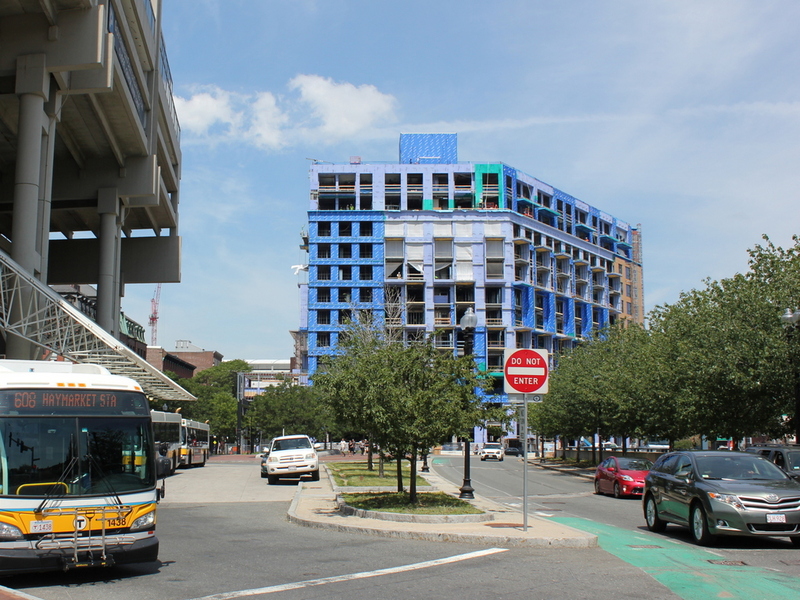 It is barely visible on the left of the 2015 photo, above the bus in the foreground. Haymarket Square itself is completely changed, though, through a series of urban renewal projects in the 20th century. To the left is a parking garage, with the Haymarket Square subway station underneath it. On the right-hand side of the photo, the elevated Central Artery once passed through here. Built in the 1950s, it cut a swath through downtown Boston until 2003, when the highway was rerouted through the Tip O’Neill Tunnel as part of the Big Dig. The building under construction in the background is being built on land that the Central Artery once passed through.